While surviving the need of wanting to harm with malicious software, for example in the development of cyber weapons, the current trend is to develop agents that serve primarily to the function of spying. 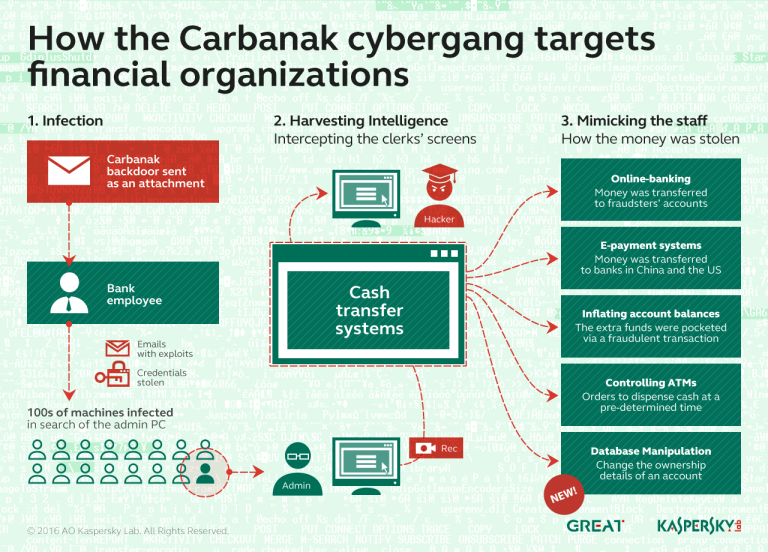 Cybercrime, governments, and groups of hacktivists, with different purposes, tend to lean toward the spread of malicious agents that have the capacity to infiltrate the targets be silently stealing from them the most information. Profit, Power, Protest the main motivations behind the attacks, that are radically changing user’s approach to the web and the their perception of security. Google for example has detected a massive operation against performed by Chinese Hackers against several tens U.S. and multinational companies, but China is not the only nations involved in similar attacks, let’s consider for example United States and researches to develop cyber weapon that are able to infiltrate sensitive networks to steal information. The project Olympic Games is the evidence of the effort spent in this new form of offense, and other valid examples of malware used with cyber espionage purpose are Duqu and Flame both developed to gather sensible information from Iranian Government. It’s true that most cyber operations of espionage traces back to China, but not all are related to government activities. According Joe Stewart, director of malware research at managed security provider Dell Secureworks, many of them are conducted by private businesses. In many cases when the malicious domains expires security company acquire them to continue the analysis posing as C&C servers. The study of Dell Secureworks demonstrated that the identified botnet have hit with multiple attacks Japanese targets in both private and business sectors. The awareness program sponsored by US government a good initiative to limit the diffusion of malicious agents a first and necessary step to protect our digital identities, our cyber space, our Nation.